This weekend (April 5-7), I’ll be the Scholar-In-Residence at Congregation Or Hadash, in Fort Washington, Pennsylvania. I’m going to be giving lectures and teaching workshops on a variety of pop culture-related topics. 1. 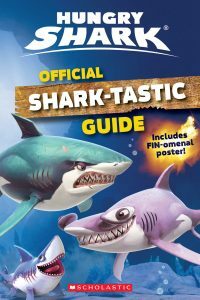 The first book is called Hungry Shark: The Official Shark-Tastic Guide. 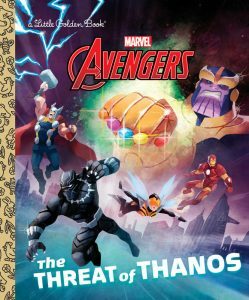 It will be published by Scholastic in June 2019 (just in time for Shark Week! ), and it’s a guide to all of the characters in the Hungry Shark video game franchise. I had a ton of fun writing this book, which is stuffed to the gills with exclusive info about fearsome fish like Tiger Shark and Great White, as well as goofballs like Mako Shark and Porbeagle. 2. 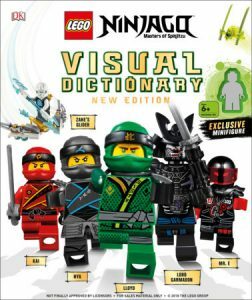 I co-wrote the new edition of The LEGO Ninjago Visual Dictionary, which comes out in September 2019 from DK. 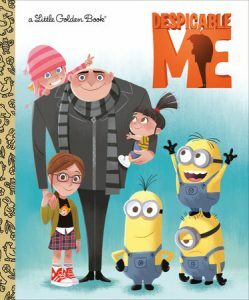 My co-author on the book was Hannah Dolan. I did quite a bit of research while working on this book, and I think it shows! The book looks pretty fantastic, and I’m very proud of my work on it. For the past several years, I’ve been a writer for MAD Magazine. But before I was a MAD writer, I was a MAD intern. Before I was even an intern, when I was first getting ready to go over to the MAD offices to interview for the internship position, I wasn’t sure what I should wear. I dressed in a T-shirt and jeans, which is the standard “Arie Kaplan uniform.” That was true then, and it’s true now. However, just in case the MAD folks wanted me to dress formally, I had my finest suit dry-cleaned. Then I folded it ever-so-neatly, kept it on its wire hanger, and put it in my backpack. And then I went to the interview, which was conducted by Joe Raiola, who was at that time both the Associate Editor of MAD and the magazine’s internship coordinator. After talking to Joe for a while, I realized that the interview seemed to be going well. So I said, “By the way, I didn’t know what to wear to this meeting, so I brought a suit.” Joe looked at me and said, “No you didn’t! I don’t know how to tell you this, but what you’re wearing is NOT a suit.” And I unzipped my backpack and pulled out the suit. And Joe started laughing and yelled out, “He brought a SUIT in his backpack…and it’s STILL ON THE HANGER! 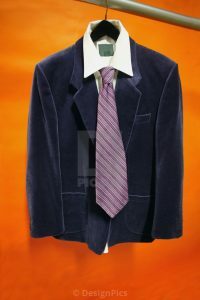 He even had it dry-cleaned!” He called in the other editors to look at the hallmark of ridiculousness that was my carefully folded, dry-cleaned suit, still on the hanger. And everyone had a good laugh. I don’t know why I thought I might have to wear a suit. It was MAD Magazine, after all! But in my defense, I WAS eighteen years old. And eighteen-year-olds are pretty much incapable of making good decisions. Ancient Egypt’s King Tutankhamen (aka “King Tut”) made so many bad decisions that he DIED at age eighteen. To any eighteen-year-olds who might be reading this: stop it. Just stop it. Whatever “it” is that you’re doing, stop it. You look ridiculous. That is all. Recently, I was one of the programming consultants for the Jewish Comic Con, which was held on Sunday November 13, 2016, at Congregation Kol Israel in Brooklyn, NY. The event was the brainchild of Congregation Kol Israel president Fred Polaniecki and comic book writer Fabrice Sapolsky. I co-moderated most of the panels at Jewish Comic Con (alongside fellow co-moderator Danny Fingeroth), and there was quite a bit of press coverage for this event. Articles about Jewish Comic Con were written up in The Wall Street Journal, The Jewish Week, Bleeding Cool, and more. AJ Frost, a blogger for comics site The Beat, interviewed me about Jewish Comic Con, my work as a guest lecturer and public speaker, and my recent projects as an author/comic book writer.